This is how I decorated my coffee table. 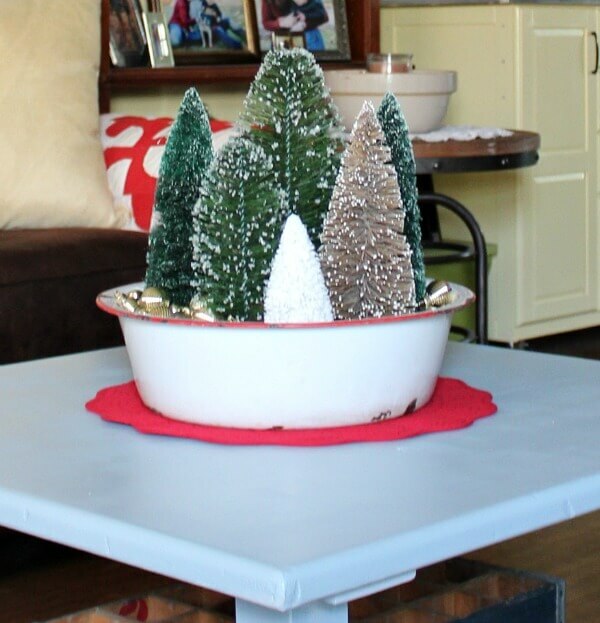 I created a simple tree vignette in a vintage bowl. I surrounded the trees with various gold ornaments, though I it’s hard to see them. I made a meat loaf yesterday. And at the last minute, I decided to do something a little different. Instead of one big meatloaf, I divided it into 8 small loaves. I put them into a 13×9 inch casserole dish and it only took 30 minutes to cook! I couldn’t believe it. The smart Breville oven lets you know when it is done. Oh, it was moist! So I ate one little loaf for lunch. If meatloaf is in the Breville, there isn’t room for anything else. So then I made some scalloped potatoes and of course, a pan of cornbread, later for supper. I have a loaf left for tonight’s supper. And I froze three loaves for another night. So I won’t be eating meatloaf till I’m sick to death of it. Instant meal for three other days. I finally picked out my Christmas present for myself. Last year it was the big kitchen cart from World Market. My daughters and I made a deal years ago that we wouldn’t exchange presents. What I do is take the grands to the bookstore after the big holiday is over. Grammy takes them to Barnes & Noble and we buy books. So after hemming and hawing and thinking and looking, I finally decided on something from Amazon.com for myself. You know how much I love my coffee. So I decided I will get myself another Keurig. I gave my first Keurig to my youngest daughter (who still uses it) about five or six years ago and got myself one of the minis. But the mini went out in less than two years time. So I was a little gun-shy at that time about the Keurigs. But there are days when I wouldn’t mind a nice cup of hot chocolate in the afternoon. Maybe an iced coffee. A fast and easy treat. I wouldn’t need to necessarily use it every day. I can use my Cuisinart I brought here with me from Texas as well. So I combined the Cuisinart with a couple of things I needed from Amazon.com, and already had in my virtual cart. A reader had mentioned that, for my mouse problem, that I try something you plug into the wall to hopefully keep the horrid creatures away. 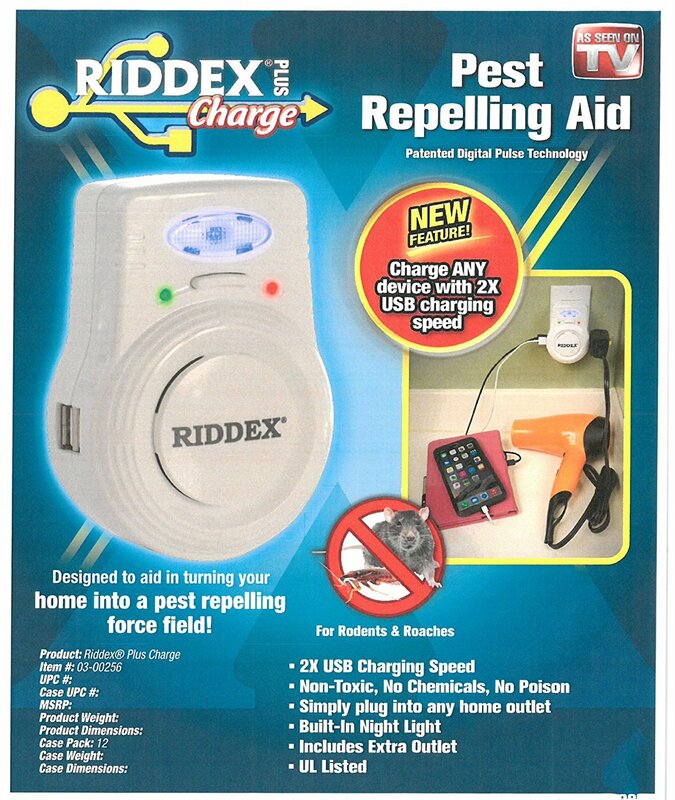 I ordered a USB Riddex Plus Charge Pest Repelling Aid with built-in nightlight. Boy, that was a mouthful! It was less than $30. I also had one other thing already in my cart. 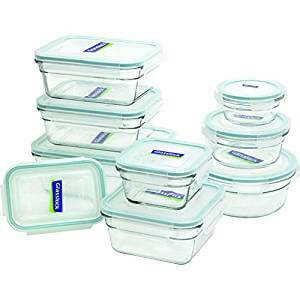 It is the Glasslock 18-piece oven-safe container set. Price: $25.99. Most of my Corning Ware is old (about 20 years old now) and after breaking pieces over the years, the set is mismatched. This was a good price, I thought. And there were lots of great reviews. 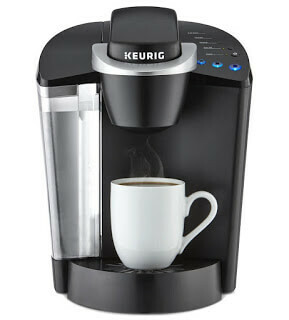 The Keurig K55 in black for $72. I also ordered a 50-count K-cup variety coffee pack, which was $34. Do any of you have this Keurig? I’d love to hear your opinion. 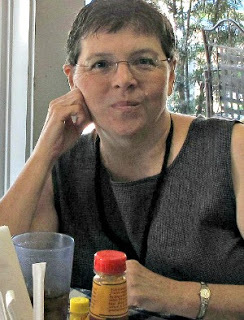 Hi Brenda, I love meatloaf. Do you have a recipe to share? I like your choice of Christmas gifts although years ago I tried the plug in and it didn't work. Hopefully they have been improved since I had one. No, I don't use a Kerrigan. I like my coffe really hot and use mr coffee. I forgot to look up a recipe before I went shopping. So I just did the lazy thing and picked up a packet of meat loaf seasoning! And added onions to the ingredients it called for which was eggs and ketchup. We have the Keurig 55 and makes a great cup of coffee….sure you will be pleased. 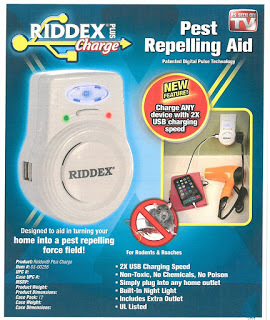 The pest thing, on the other hand, did not work when we lived in upstate NY but that was years ago….maybe they've improved on them. I just drink one cup of coffee per day, so decided it wouldn't be too cost prohibitive. The maintenance guy here didn't think the pest think would work. But I'm willing to try it. One of our sons and his wife bought us a Keurig 6 years ago for Christmas. I used it every day, morning and evening, sometimes more often than that (I love coffee). It finally gave up working right, two weeks ago. Bought another on sale at Wally world for $79.00. I've only seen them sell for $120.00 before. The first one, just like yours, was black, this time I bought the same style, but in red. I LOVE them..DH doesn't drink coffee as often as I do, so for one cup, hot and fast, and it is plenty hot, it's perfect..As for your mouse plug-in, we had one at our previous house,in the garage. We lived on the lake, and it was a wooded area, so they would wander in. It worked like a charm…so good luck with yours too. I thought about the one that looked red, but I think it said the color was rhubarb and looked slightly purple. So I went with black. Seems they have gone down some in price. I love your trees in the enamelware bowl. So simple and so cute. The one bad thing about those little trees is that they get glitter everywhere. So I thought containing them all in the enamelware bowl (glad you wrote that because I couldn't for the life of me think what it was actually called!) would keep the glitter in one spot and off my table. The little trees look amazing. No keurig, but I think they are great if you just want one or two cups. Hubby and I manage to drink a whole pot in the morning. Glad you found something you like. I need to order one of those Glasslock sets. This year I'm all about simple! I typically drink one cup per day. Even two cups seems to give me a fit of acid reflux most of the time. I just have a small freezer above my fridge, so I can't freeze much. No Keurig here – I'm the only one who drinks coffee and I love freshly ground beans and my French Press. 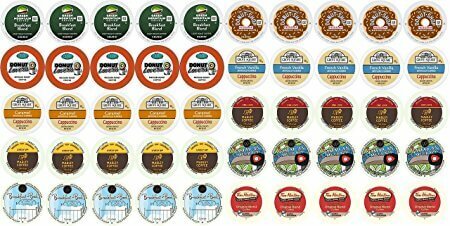 K-Cups are expensive and aren't recyclable, which is a huge turn-off for me. Also, be sure to regularly clean your Keurig machine with vinegar, as they're breeding grounds for bacteria and mold (the inside). You can Google it – I remember it was a big thing going on about it on news sites last year. 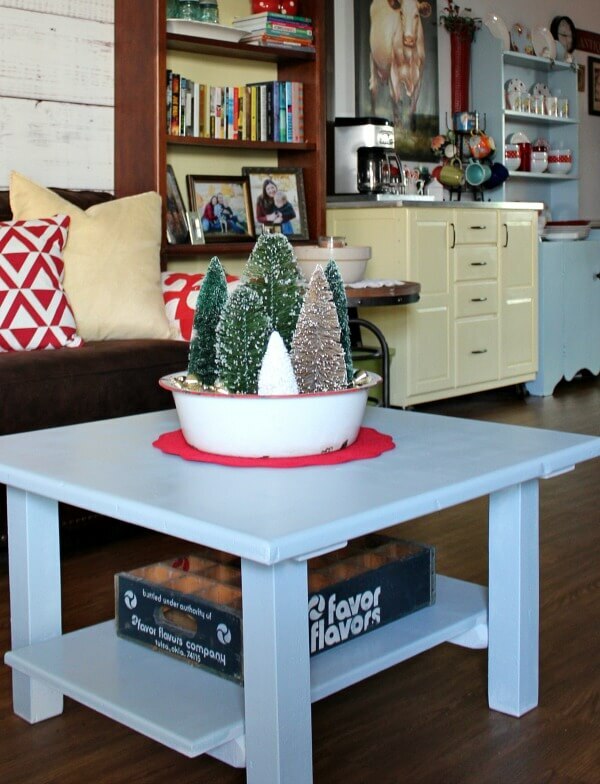 Love your arrangement of trees on the coffee table. I've had them before, so I know about cleaning with vinegar. I love the little Christmas trees! My Keurig croaked about a year ago and I didn't replace it. Between the two of us we drink a lot of coffee here so we brew a whole pot in the morning. The Keurig just doesn't work for our needs, and it got very expensive for two people! But I can see where it would work great for your needs. I would adopt a cat if I didn't have the pupsters. I think they're a bit too old to get accustomed to another pet. Plus, two pets is all you're allowed here. I love those little bottle brush trees! I bought three this year with snow on them. I have them around a little white cathedral I also bought new. those were my only new décor items. it reminds me of one of my favorite movies… 'the bishop's wife' with david niven and loretta young. your little meatloaves sound divine! especially with scalloped potatoes! YUM! When my kids were growing up, I made scalloped potatoes from scratch, and they just loved it. Now with just me, I grab a box from the store! Such a cute little arrangement with the bottle brush trees in the enamelware…I believe I have one of those bowls out in the shed…I think you have made some good choices for yourself Brenda…I still have the little red Keurig like the one you had…it has been unpluged for a while waiting for me to clean it and see if it still works…The good news with Keurig is that it has come down in price from what it used to cost…I drink much more hot drinks in the Fall and Winter seasons as most do I imagine…that looks like a very nice set of ovenware and I'm sure they will be used often by you…that was a great idea you had with making the mini meatloaves…The pest repelling aid I know nothing about but I'm anxious to hear your feedback on it! Enjoy! Yes, I drink more hot beverages when it's cold too. I'll let you all know how the pet repelling aid works. Hope it works! Love my Keurig! You will be glad you got one, I'm sure! When Israel worked here and came over every morning for coffee, that would have made two cups. So I probably wouldn't have bought it. But now he just comes by sometimes on weekends, and I can use my coffee maker for those times. I love your coffee table and the cute bowl with the trees! Do you have a plank wall behind your sofa? I don't think I've noticed that before…love it! I love your idea for making meatloaf. I would probably do two medium sized one…hubby loves meatloaf sandwiches. One to freeze would be great. Thanks for the tip. We have two Kuerig's at the lake. One makes about 4 cups and then we have the single cup. I know they are loved by many but my quirk with them is how hight priced the pods are. I've searched for the cheapest price and I've used the little container which you can add your own coffee to…that sort of defeats the purpose. I love my good 'ol tea kettle for cocoa and tea. I have two cups of coffee in the morning and that's feasible in my coffee pot. I know there was a time where people didn't care for the Kuerig's and I thought they were't giving them a chance. And that remains true. It does work for many so good for you, Brenda! Ugh…mice. I hide the poison in cabinets and closets. I've tried the sonic thingies, too. Nothing works like the nasty stuff. Some people differ, but they have never seen mice running back and forth on their kitchen counters! What I have on the wall behind the couch is actually removable wall paper a company sent me to try. I don't have a stove to use a tea kettle anymore. And it's hit and miss for me to get water hot in the microwave. I think I would have a heart attack if I actually saw them there! I've gotten myself a gift the last few years. Since I don't trade gifts with anyone, I consider it quite the treat! I have a Keurig that I use all the time. It is so nice to get a hot, fresh cuppa coffee whenever I want one. I just have one like yours, except it is red. Got it from Amazon too a few years back. Good luck with the mice…. cute in pictures, nasty in person! You're absolutely right! Cute in pictures, nasty in person. I like the tree arrangement, Brenda. What I also like are the red and white pillows on the sofa, along with the soft yellow pilow that matches the paint on the bookcase and coffee bar. And the soft blue on the coffee table and the hutch. It all looks soothing and pretty. Do you still use the little decoration you made a couple of years ago that was a little house inside of an enamelware saucepan? That was so cute. I've been looking for a little enamelware saucepan to make such a decoration but they always seem overpriced. I'll keep looking! I can't think of what you're referring to, but then that's not surprising. A tree inside an enamelware saucepan… Sure it was me? The pillows will stay on the couch unless the pupsters get antsy and knock them off to the floor. Then they go back in the closet. The trees look so cute in the enamel pan! I love my Keruig and it is several years old now. I think I got it when you mentioned it on your blog way back when. It is still working fine. I hope that helps with your mice problems and I love that you buy yourself a nice gift each year. I also pick something out for myself each year and it's fun!! Hugs! I think we single women need to "treat" ourselves well! I have my Keurig for about 5 years now, it was a Christmas present to myself also – but they don't make the model I have any more, which is a shame! I bought the same one for my sweetie after I had mine for a bit and realized just how easy it is, and how much it gets used. No more big pots of coffee to waste, and I can have a cup of something any time I feel like it. I have often thought of buying one for my office, but let's not get crazy ha ha!! Your bottle trees are adorable Brenda! As for a Keurig I do not have one but I have been thinking of getting one for the model home I sit in. I do not need a pot of coffee there and I can make a cup of coffee, hot tea or hot chocolate! So many choices now. My daughter had one but she did not like it and sold it before asking me if I wanted it ( I think I even bought it!! LOL) Oh well, I think I would love the RED one! I have a black Hamilton Beach without a carafe and I love it. I just heat up what coffee is left the next day. NO coffee is wasted! I love the presents that you picked out for yourself! Merry Christmas!